Jaffrey Property Management, LLC was formed as a division of Tieger Realty Co., Inc. in 2004. We rent and/or manage residential property as well as commercial and industrial properties. We can and will customize our services to your needs and be glad to help with rental questions. 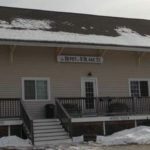 For commercial properties, please contact Marc Tieger at 603-532-8765. For residential management questions, please contact Karen Baird at 603-562-5362. For residential apartment showings, please contact Larry Alvarez at 603-532-8765. JAFFREY: Recently renovated 3 Bedroom apartment on 2nd & 3rd floors. Spacious eat-in kitchen. Large bathroom. Heat included in rent! On-site parking for 2 cars and household trash removal included. No pets. No Smoking. Call Larry at 603-532-8765. RINDGE: 3 Bedroom apartment with eat-in kitchen on 1st floor with large rooms throughout. Full bath. Sizable sunroom in front connects to living room and yard in the back connects to the kitchen area. Attached garage & workshop. 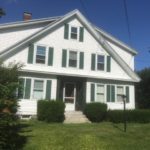 Easy commuter location on Rt 119 for travel to Massachusetts or the Keene area. Available June 1. No Smoking. Call Larry at 603-532-8765. 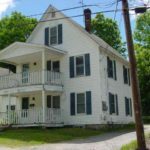 JAFFREY: One bedroom/studio apartment on 2nd floor. Fully appliance. Walk to town. Neat and clean. Off street parking. Utilities are the responsible of the tenant. No pets. No Smoking. Available Nov 1. Call Larry at 603-532-8765. JAFFREY: One bedroom apartment on 1st floor. Fully appliance. Walk to town. Neat and clean. Off street parking. Utilities are the responsible of the tenant.